Use 15/16" dia handle 59140 . Soft Coco Broom 10" is rated 3.4 out of 5 by 14. Rated 1 out of 5 by TH1234 from It's not 10'' I've just bought this from Toolstation as I specifically needed a 10" brush. I've just measured it and it's over 11" I've also checked the manufacturer's website and its advertised as 290mm which is well over Toolstations advertised 10". Plus points, it's not worth returning it for the cost. Rated 5 out of 5 by lyndon13 from Great Brush. I bought this brush to paint my deck with. Most brushes I looked at were either too hard or too soft. 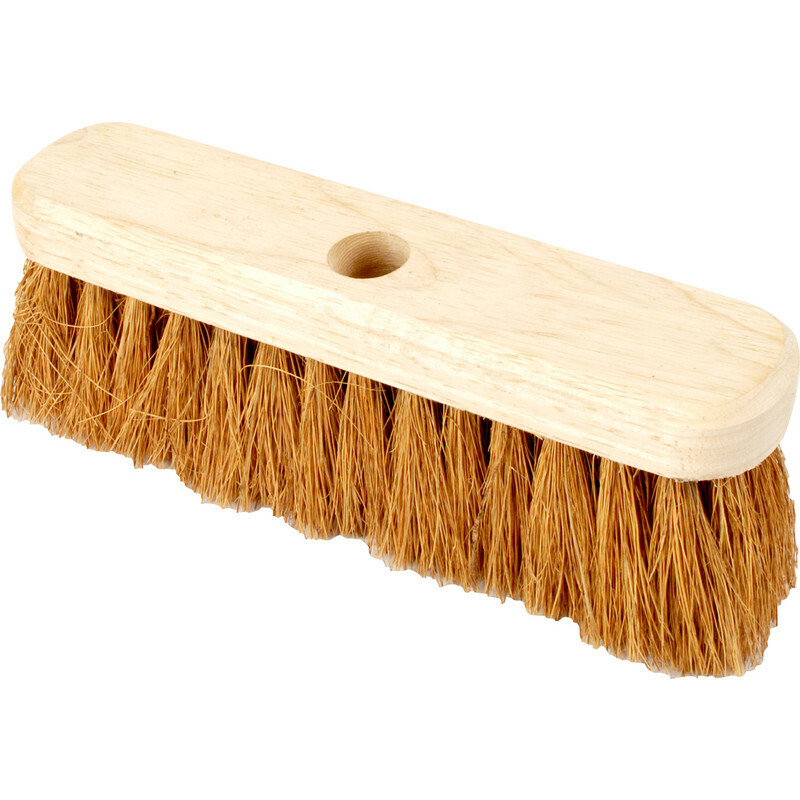 This Soft Coco Broom was brilliant. Rated 1 out of 5 by Ryan422 from Rubbish Rubbish broom, bits keep falling out when you sweep, it makes more mess than what your sweeping. Rated 1 out of 5 by TaysideTiler from This or the handle Not sure which is to blaze, but the brpom end doesn't fit the handle that is quoted for in the description. Rated 5 out of 5 by Plumberious from CLEAN SWEEP Nice & soft & good for sweeping dust unlike nylon type. Sadly, came without user instructions so not suitable for apprentices! Rated 5 out of 5 by Jackie2789 from Cheap You wont find a garden broom for a better price!